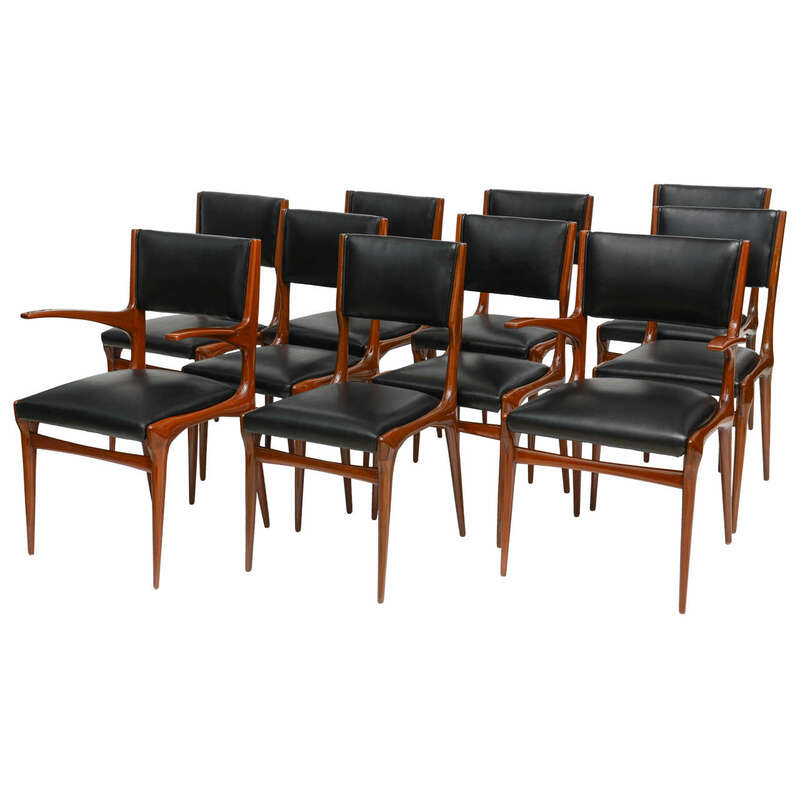 Made for Cassina in 1953, set of 12, two arms and ten sides. 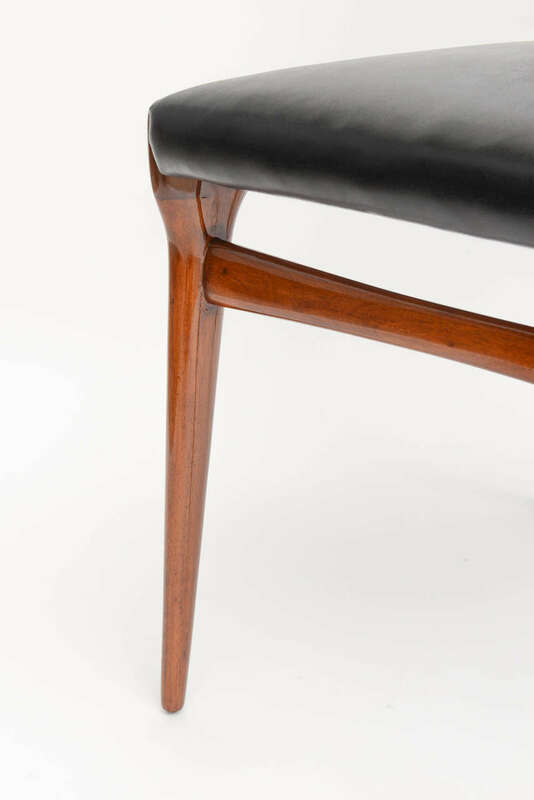 The walnut frame with tapering cuts -literature- esempi- sedie poltrone divani, illustration 201.
literature- esempi- sedie poltrone divani, illustration 201. 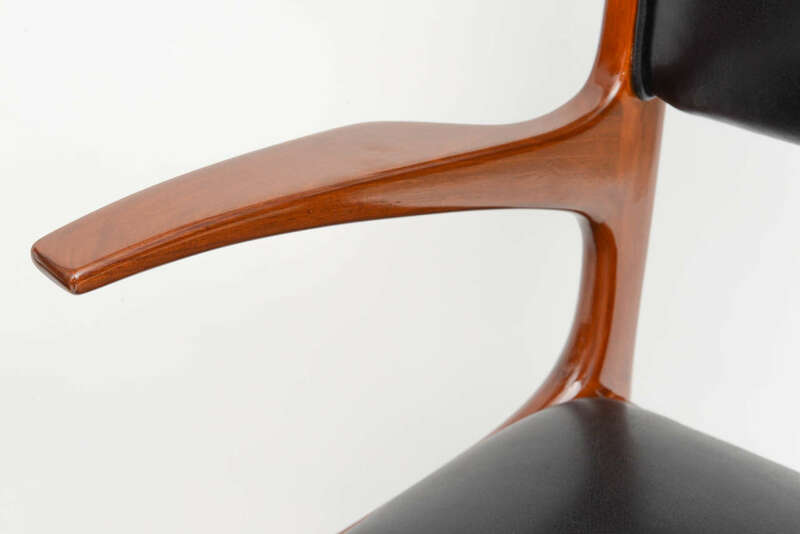 The rounded backs with pierced area on tapering splayed legs, each with label to inside of seat frame, Borsani atelier. 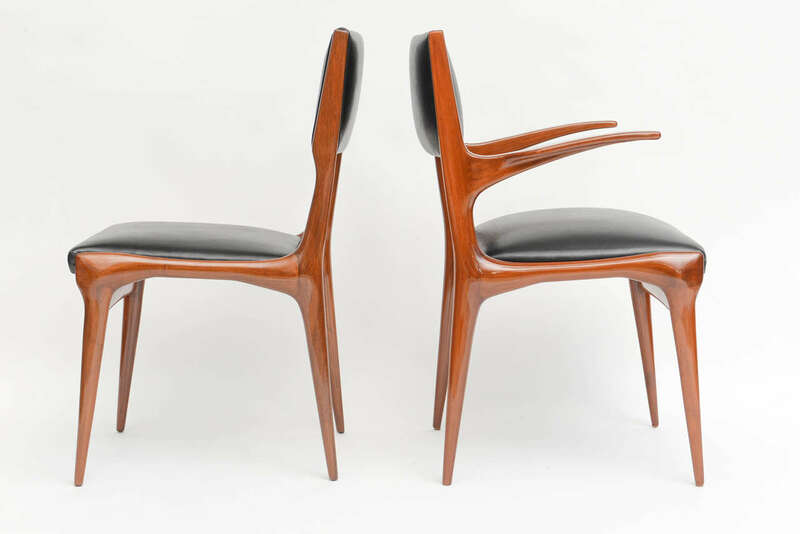 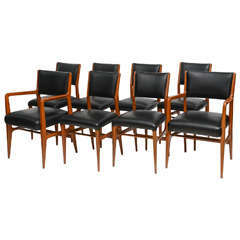 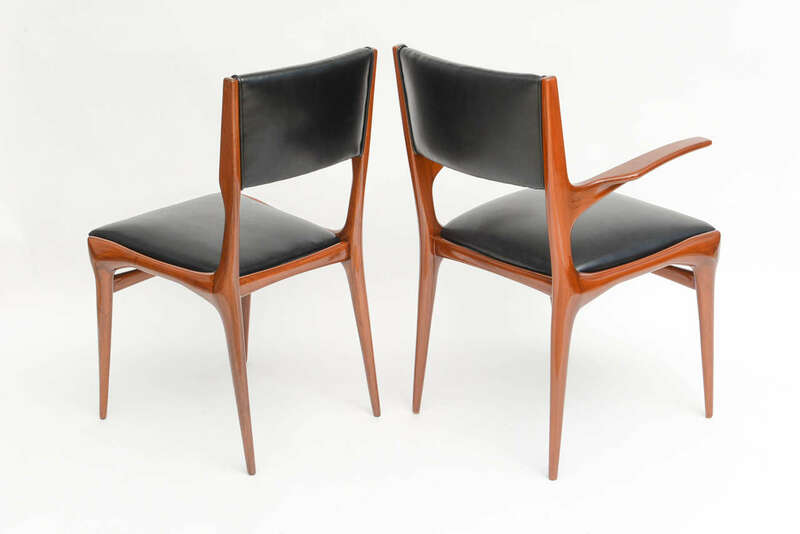 Early Carlo de Carli dining chairs in beech. 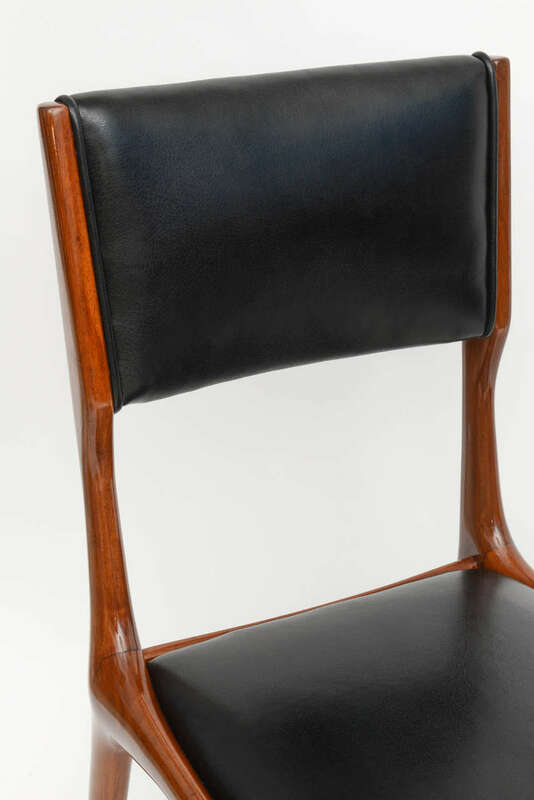 Restored and re upholstered in slate velvet. 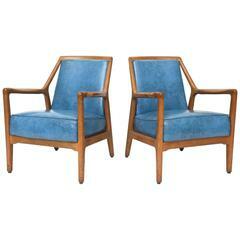 Four dining chairs in ice blue velvet in style of Carlo di Carli, Italy, 1950s. 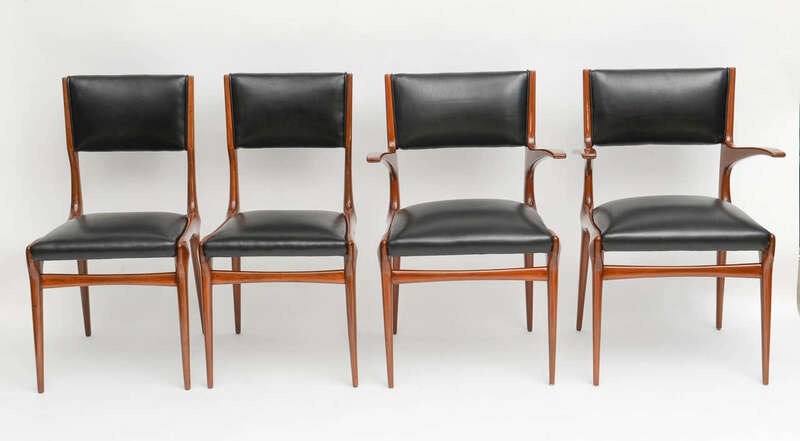 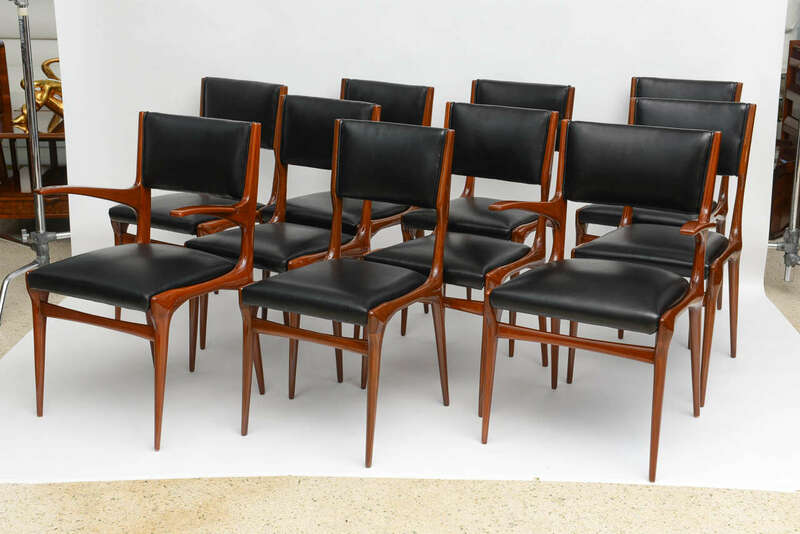 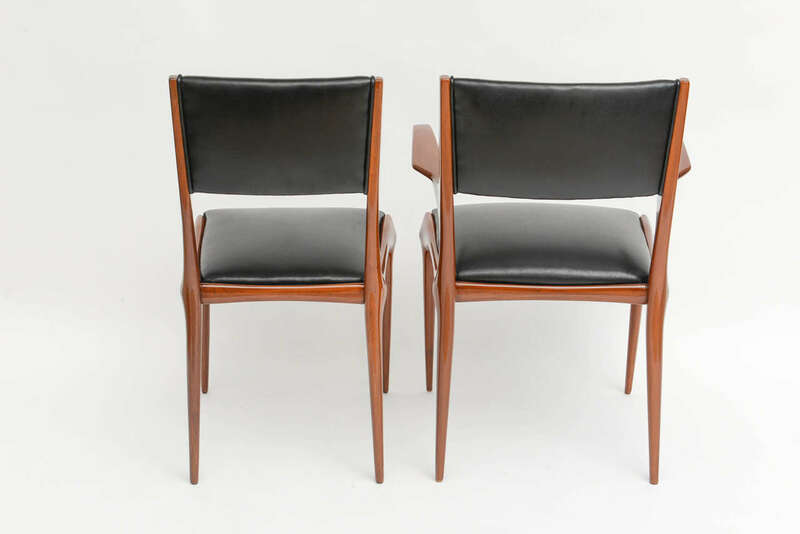 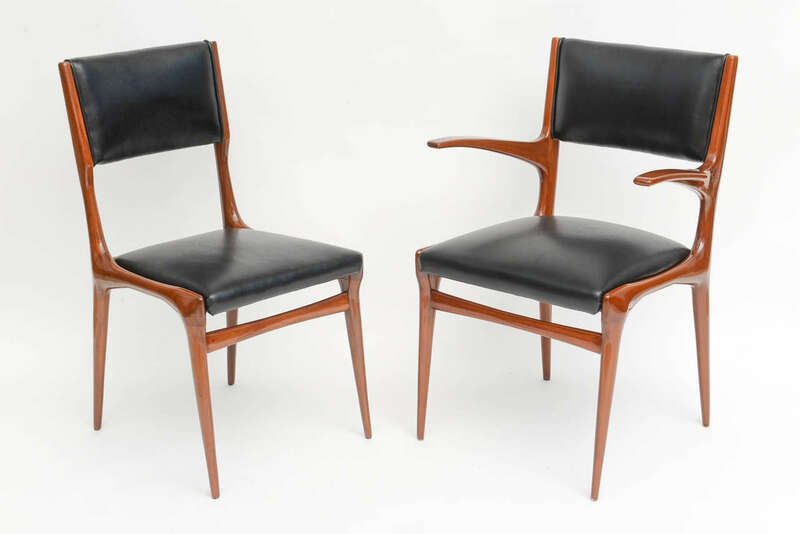 Elegant Mid-Century Modern side chairs Carlo di Carli attributed in solid black lacquered walnut, leatherete seat red brown color Measures cm: H 48/92, W 40, D 40.